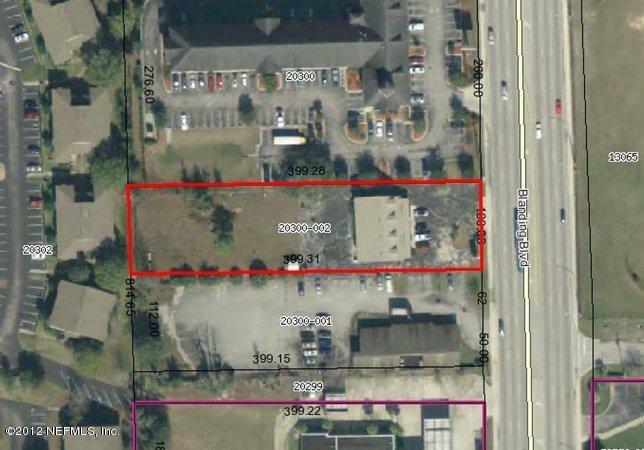 Zoned BB - 0.92 Acre with 100 feet of frontage on Blanding Blvd across from Orange Park High School. Currently has operating hair salon, 2,736 SF and vacant fondue restaurant, 2,736 SF. Business assets may be negotiated into the deal. Approximately 30 parking spaces and back half of property undeveloped but cleared.Also available for redevelopment with adjacent parcel to the south. See MLS 585325 for total of 1.94 acres and 212 feet frontage with median cut.